Paper cones are a vital tool for food stalls, caterers and any other kind of business that delivers food for customers who are on the go. They’re cheap, lightweight, easy to assemble and highly versatile, making them a great investment for companies in the leisure and hospitality industries. 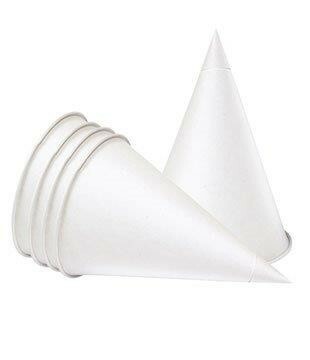 Buy paper cones directly from The Paper Cup Factory and take advantage of our competitive prices. Choose from standard or biodegradable paper cones depending on your requirements. Please note that our paper cones are packaged by the thousand. If you buy from or website, you’ll also benefit from free delivery on all of our products. Want more information on our paper cones or any of our accessories? Please don’t hesitate to get in touch!